Size: approx. 5 mm. Photo: 07/14/15, 10 pm. 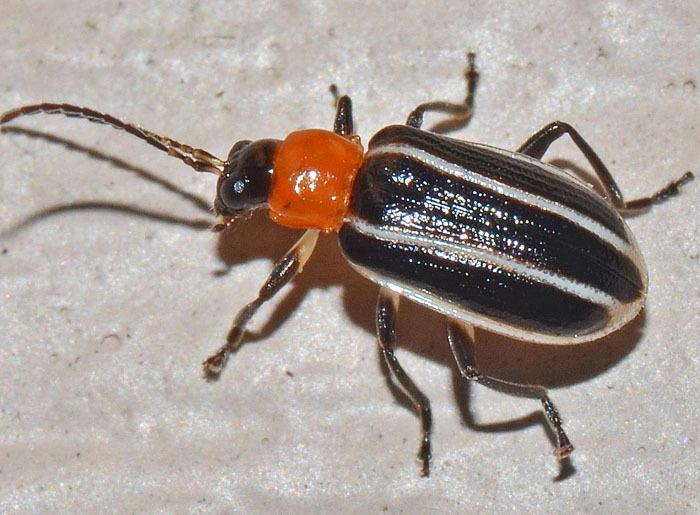 This small leaf beetle is Acalymma vinctum which is primarily found in the Southeastern US. The genus has six species in North America; all of them feature three distinctive dark stripes.